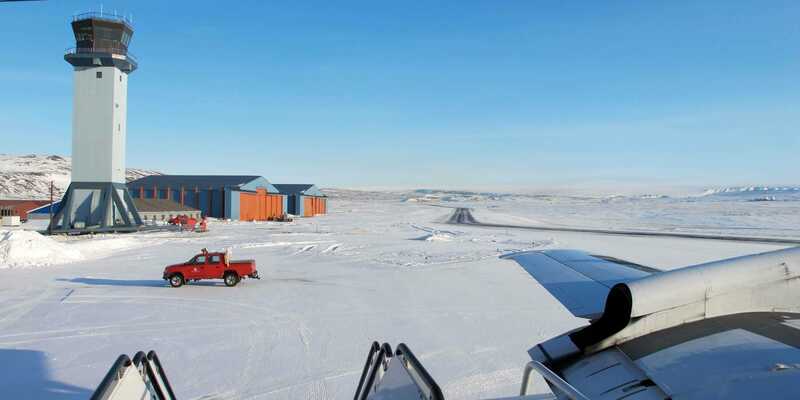 Jim Yungel/NASAA sunny view of the ramp at Thule Air Base, Greenland, shortly after the NASA P-3B research aircraft arrived on Mar. 18, 2013. 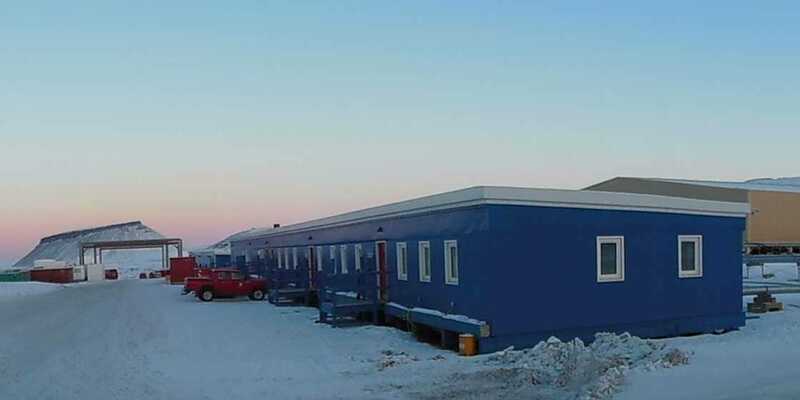 Over 700 miles north of the Arctic Circle in Greenland sits one of the US’s most isolated military installations — a place that could potentially become one of the most important American air bases on earth. Situated close to the halfway point between Moscow and New York City, Thule Air Base is a remnant of the US’s drive to create global staging areas for operations against the Soviet Union during the Cold War. At its height, Thule had close to 10,000 personnel from the US and Denmark. Today, that number is below 1,000. At the height of the base’s Cold War-era importance, Thule was a refueling point for long-range US bombers that might be tasked with flying over the North Pole to engage Russia. Simultaneously, the base also functioned as a defensive point from which US fighters could intercept Russian bombers en route to North America. Either way, it would be a front-line base if the Cold War ever turned into a hot conflict between the US and the Soviet Union. Despite its pared-down present-day operations, Thule still plays a crucial role in the US’s defence posture. The base is the home of the 21st Space Wing’s global network of ballistic missile early-warning systems and space surveillance. 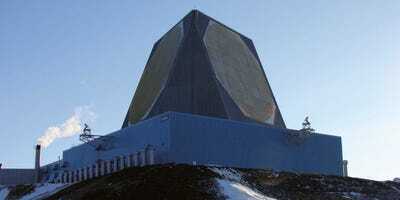 Thule also hosts space control for the North American Aerospace Defence Command and Air Force Space Command. Christy Hansen/NASAPanoramic view of Thule Air Base, Greenland, seen on Mar. 10, 2014. Thule’s location and embedded satellite and missile detection hardware means the base is a critical element of US missile defence architecture. The base provides the US, and by extension NATO, with a top-of-the-world view of any missile threat crossing over the polar ice cap. This vantage point high in the Arctic will soon be of urgent importance for the US and its strategic partners. The US military — along with the militaries of China, Russia, Canada, Norway, and Denmark — have accepted that the Arctic ice is melting. A race is already underway between these countries to secure plentiful resources and trade lanes that will open in the coming years as the ice continues to melt. By virtue of its position deep in the Arctic Circle, Thule allows the US to constantly monitor the situation in the region. This location will help the US track the movements of rival militaries in the Arctic while also providing the necessary infrastructure for the US to capitalise on any changes in the state of play. And the base could host upwards of 10,000 personnel if filled to capacity. Jim Yungel/NASAOn March 22, 2011, IceBridge teams awoke to sunny, clear skies following a storm that had prohibited non-essential travel from Thule Air Base. The snow was cleared and the P-3 rolled out for a sea ice flight. Thule has also been put to use by NASA for research into the melting of the Arctic. 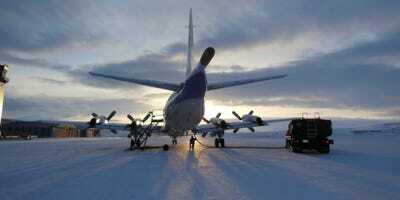 Since 2009, NASA has launched annual research operations, named Operation IceBridge. Based in Thule, they include flights that monitor the Arctic ice sheets and sea ice. The Council on Foreign Relations noted in a presentation that the competition for resources in the Arctic could lead to a new Cold War between Russia and the NATO states. Russia has reinvigorated the construction of its naval infrastructure along the country’s vast northern coast. 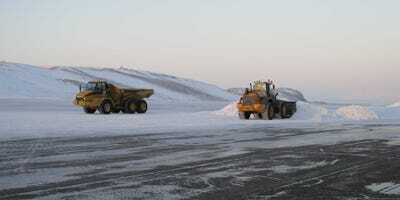 Likewise, the US Navy has accelerated its plan of bolstering Arctic readiness. Given the already-tense geopolitical climate between Russia and NATO, a resource competition within the Arctic would likely only lead to further confrontation — and more of the aerial near-misses and suspicious Russian deployments which are already occurring at an alarming pace as a result of the Ukraine conflict. 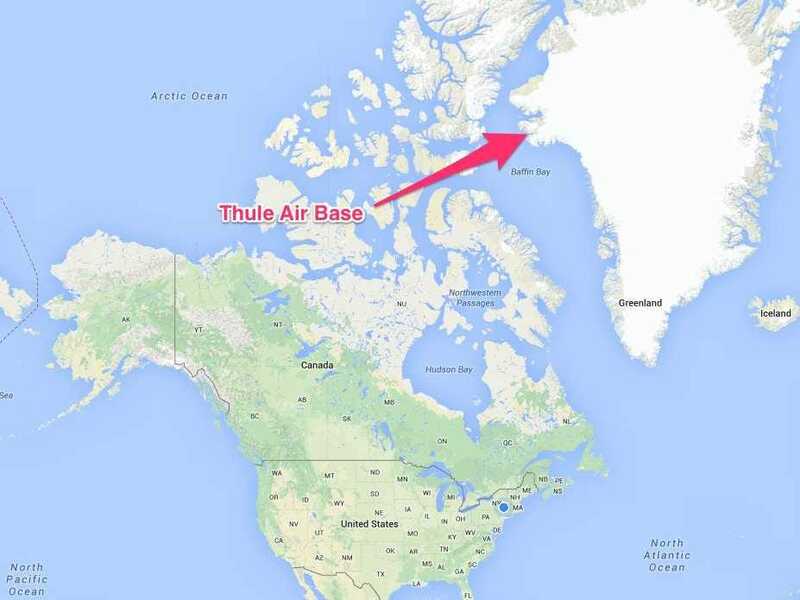 An air base such as Thule would provide the US with additional resources in the Arctic should tensions with Russia continue to build. Thule Air Base is ideally positioned in a rapidly evolving competition for resources and strategic advantage in the Arctic. The most isolated post in the entire US military could be a lot more crowded in a few years.